It is never too late to make healthy lifestyle choices that lead to longevity. The healthier your elderly loved one is, the higher his or her odds of remaining independent will be. Here are some of the things family caregivers can do to increase their loved one’s longevity. Exercise is one of the best ways to increase bone strength and prevent slips and falls, broken bones, joint pain, and head traumas. Family caregivers can promote longevity in seniors by encouraging them to stay in good shape, which can be achieved by exercising and participating in physical activities. Plan easy workouts and activities for your loved one, such as hiking, swimming, yoga, and dancing. Maintaining healthy habits is often easier for older adults when they have the right support. In Clarksville, TN, home care agencies can be a great boon to seniors. 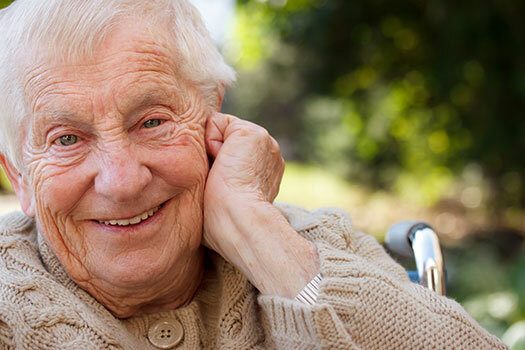 With the help of the caregivers at Home Care Assistance, your aging loved one can lead a happier and healthier life. We offer a revolutionary program called the Balanced Care Method, which encourages seniors to eat nutritious foods, exercise and socialize regularly, and focus on other lifestyle factors that increase life expectancy. Stress and anxiety put seniors at a higher risk of strokes and heart attacks, which can decrease their quality of life and lead to more severe issues. However, finding a way to manage life’s stressors is a great way for seniors to maintain good emotional health and increase longevity. Take your loved one for walks and encourage him or her to meditate or try journaling. Family caregivers can also encourage their loved ones to try music and art activities, as these things provide the creative outlet seniors need to alleviate stress and boost their overall health. Seniors can de-stress and stave off negative emotions by making healthy lifestyle choices. If your loved one needs help maintaining healthy habits and accomplishing daily tasks, a Clarksville caregiver from Home Care Assistance can help. Our caregivers are expertly trained to provide mental and social stimulation, assist with exercise, prepare nutritious meals, and much more. Healthy eating is a positive lifestyle change that can also increase longevity. When seniors cut out sodium, saturated fats, and other unhealthy options, they can boost their heart health, reduce the risk of memory loss, and increase their muscle strength. Promote healthier eating habits by helping your loved one with meal prep. In addition to choosing healthy meals for the week, make nutritious snacks and beverages for your loved one. Seniors who volunteer often feel happier and live longer and healthier lives. Volunteering may give your loved one a sense of purpose. When finishing with a charity drive, donating to a nonprofit organization, walking in a marathon sponsored by a health group, or conducting research for a cause dear to his or her heart, your loved one may feel more accomplished. Volunteering is a great way for seniors to stay socially active instead of bored, depressed, and isolated. Ask your loved one about the causes he or she would like to be a part of, and find local organizations he or she can volunteer with. Lifestyle changes are often key in increasing longevity. Maintaining a high quality of life can be challenging for some seniors, but professional caregivers can help them obtain this goal. Families can trust in Clarksville, TN, home care experts to help their elderly loved ones focus on lifestyle choices that increase the chances of living a longer and healthier life. Give Home Care Assistance a call at (931) 444-1950 to learn about our flexible home care plans. How Does Walking Help Aging Adults with Parkinson’s?